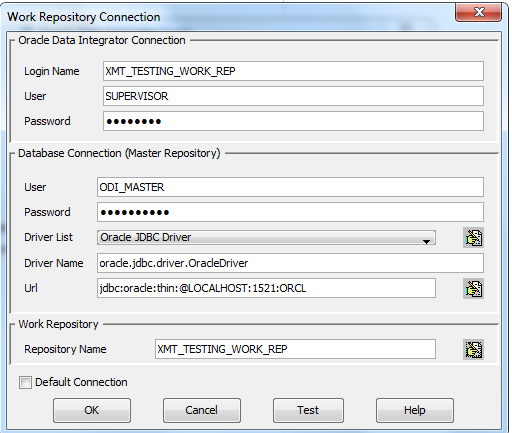 In this present example i am moving from my DWR to EWR [ Testing Environment ] . Generally before the UAT , its important to have an Testing environment where Scenarios functionality, code Testing , Data Validity is tested. 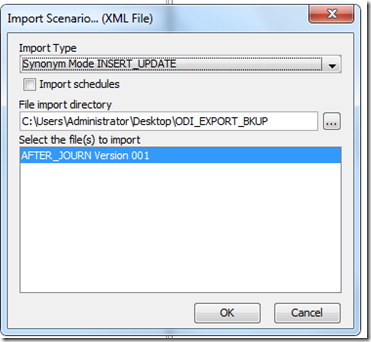 I strongly feel that it is import to have such an environment before releasing to UAT so that less codes fail at the UAT and multiple minor issues can be fixed at this stage thus avoiding more failure at the next stages. 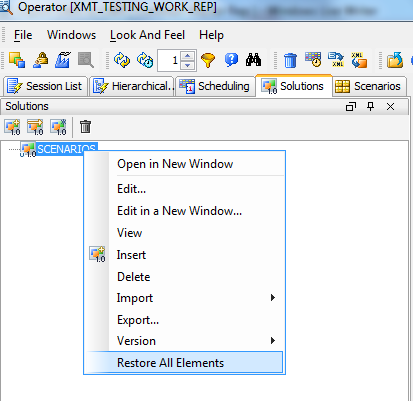 In this example i am creating the EWR in the same Master Repository and using a different context and agent but its is not necesarry to do so, if both are in the same box , the only draw back i see is that using the same agent for Development and Testing can lead to performance degradation , but again its the architecture and the requirement which matter requiring to understand in how to handle the resources. 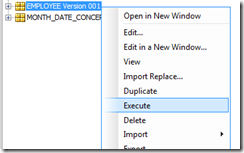 – Creating the Execution Work Repository schema, tablespace and other Database permission for users. 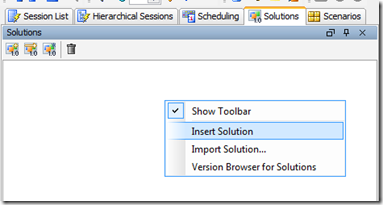 – Creating the EWR in ODI Topology Manager.. 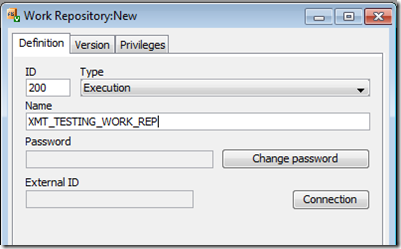 Right click – > Insert Work Repository . 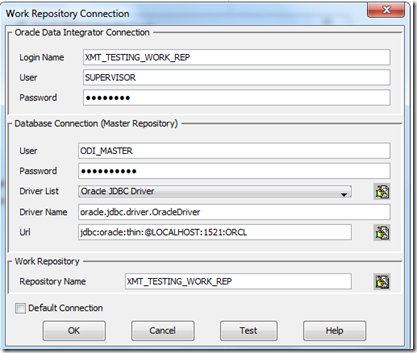 Provide the JDBC Driver, URL. Click Test and Once Successful Click Apply and OK. Provide the new ID , make sure the ID different from the other DWR created . 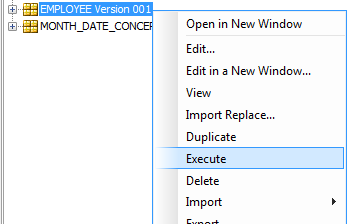 Select ‘ Execution ‘ type and provide a meaningful Name as that will be your Execution Work Repository Name. click Ok once done. 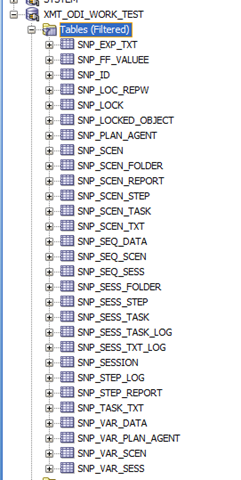 As you can see that in EWR , mostly tables related to Scenarios , Sessions , Sequence , Variables tables are created and the work tables in EWR are less than the DWR since in EWR mostly information related to scenarios, sessions are mattered a lot. Also EWR , access to Operator , Topology and Security Manager are allowed . 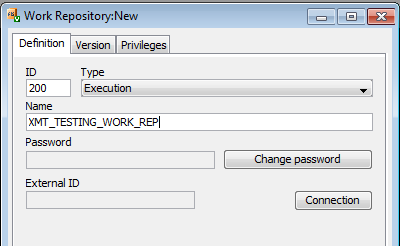 As the name suggestion Execution Work Repository so only Scenarios are allowed to be imported into this environment and so designer are not created in EWR . 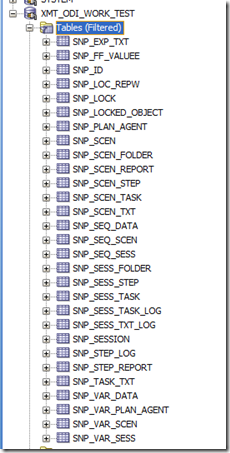 – Logging into EWR Operator. Log into Operator of DWR . Right Click on the Scenario to be Exported and selected the Folder. 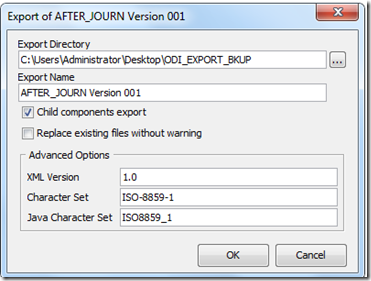 Always use the insert_update mode so the in the future when you try to insert or update ODI can automatically identify the scenario and make the necessary insertion and updation and less code corruption. 2. 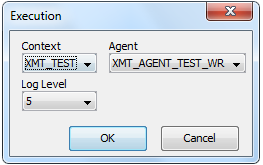 Logic for Data validation is changed by this example and so on. Doing so can provide more help and information for the administrator or the user in getting older and newer codes into the other environment as the demand requires. 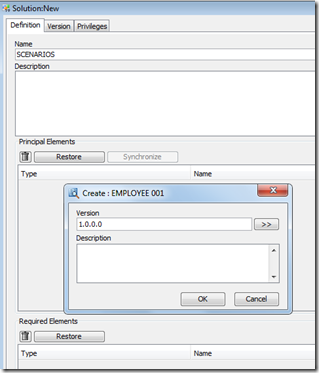 Provide the Solution Name and drag in the scenario into Principal Elements. 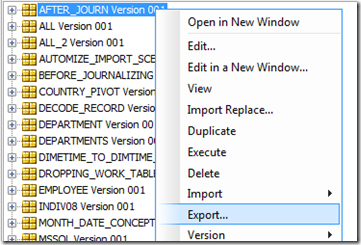 Solution creates Version for every Insert you do . 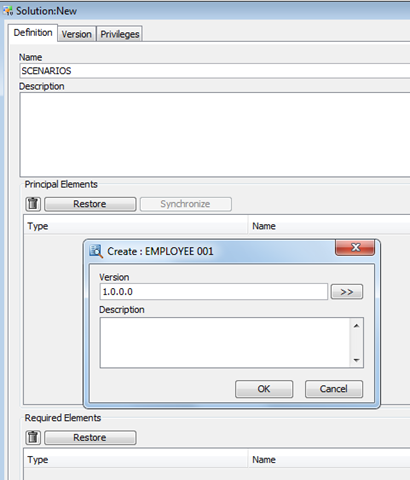 Solution are great when you would like to track each scenario and roll back to previous versions. Click yes on the above warning and keep adding as many scenarios to the Solution. 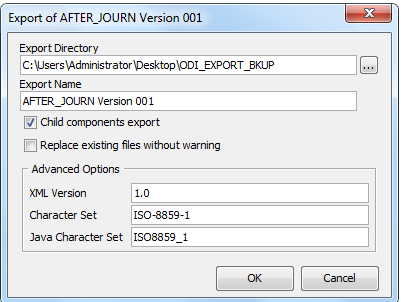 Since Solution are created in Master Repository[ SNP_VERSION] , you can find that in other Work Repository. 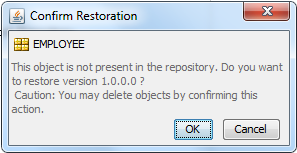 Once restored , all the scenarios are imported into the other environment. Keep repeating the same steps for other physical schemas. 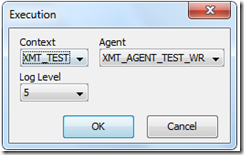 – Create Agents for the new Testing environment. 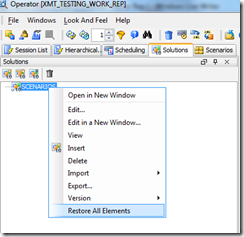 – Lets test the scenario using the newly created context. 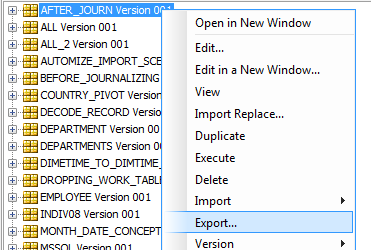 Yes, I have tried exporting and then importing the solution. By analyzing the resulting XML files, I found out that only the DEV schedule is present on the XML, although I’ve defined schedules for the rest of the contexts. That’s what lead me to post this question. 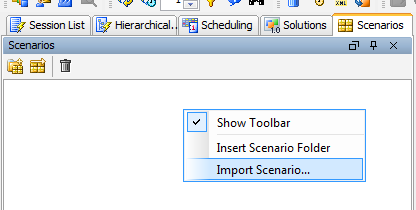 I’m using solutions as «deployment packages», meaning I group all my scenarios in solution X and, as scenarios evolve, so does the solution X.
I found an annoyance for this approach: if I export a scenario individually from my dev_rep, all the schedules I’ve created are attached to it (say, schedules for DEV, TST and PROD). 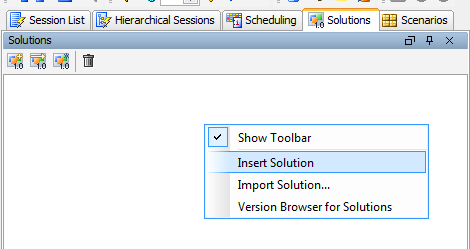 But if I follow the solution approach, I found out that just the DEV schedule is exported. This undermines my proposed use for solutions: «deployment package» with everything it needs for execution on any of my contexts.